After discussing your objectives, our team of app developers will match your unique requirements with the technology that will deliver short-term project goals while fueling your long-term business strategy. We develop three kind of mobile applications: android, IOS and hybrid applications. 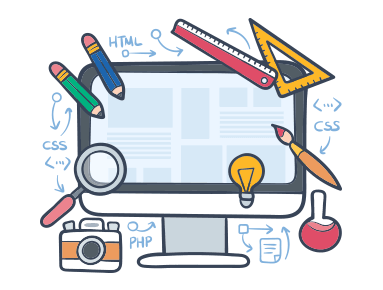 Our team of best web developers matches your unique requirements for your website with the technology that will deliver both immediate and long-term results for your business. Great designs should do more than just catch the eye of your customers — it should help your business reach its goals, whether that is guiding new customers through a sales funnel or educating existing ones about a new service. All major search engines such as Google, Bing and Yahoo have primary search results, where web pages and other content such as videos or local listings are shown and ranked based on what the search engine considers most relevant to users. Take care of everything for your position in the search engine. ITGate offers its customers innovative solutions in embedded systems integrating new technologies. The home automation and robotics market in Tunisia has evolved considerably, integrating more and more automation and comfortability. Our vision is therefore to be a major player in this market in the short term. Thus, integrating into the global market in the long term. What is the cost of the various projects ? Can I have training period to know how to use my product? Sure, with each project (mobile application, web site or web application), we offer our customers a period of training, to know how they can use our product. What are the advantages of an E-commerce website? By choosing to work with us, you decide to stand out from your competitors thanks to a website realized from A to Z with you. In other words, your site perfectly matches your needs and more. The design possibilities and desired features are unlimited. IT Gate is a computer engineering company, created in 2015. Specialized in development, IT services, user experience, design, development and Webdesign. With its values; organization, collaboration, trust and responsibility, ITGate is a young and dynamic team gathered to meet the needs of its customers and accompany them throughout their projects. Copyright © 2019 by ITGate-Group. All rights reserved.